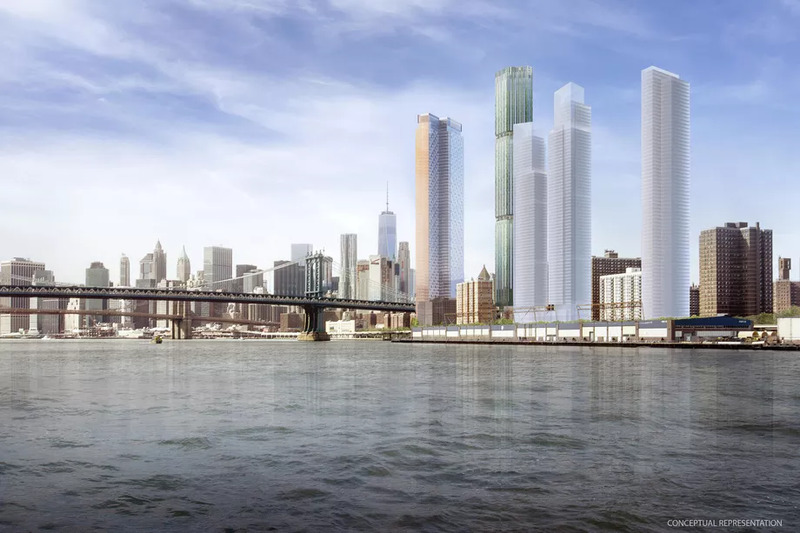 Manhattan Borough President Gale Brewer and Councilperson Margaret Chin are pushing the Department of City Planning (DCP) to conduct additional reviews of three waterfront towers in the Two Bridges neighborhood. The pair said they will pursue legal action against the city if it doesn't stop the developments. Developers have set their sights on the Chinatown-adjacent area in recent years with a series of high-rise residential buildings. The 77-, 69-, and 62-story towers would sit less than a block away from the FDR Drive, near the Manhattan and Brooklyn bridges from which Two Bridges gets its names. JDS Development Group, the same firm behind the troubled supertall on Central Park, is backing the 77-story, SHoP-designed skyscraper at 247 Cherry Street, which will rise next to an under-construction 80-story tower, Extell’s One Manhattan Square, designed by Adamson Associates Architects. Two Bridges Associates is planning a double tower (69 stories each) with a shared platform at 260 South Street, and Starrett Development wants to build its 62-story structure at 259 Clinton Street. Last year, Brewer and Chin, whose district includes the proposed towers, asked DCP to assess the development via a Uniform Land Use Review Procedure (ULURP), a seven-month review that goes through the community board all the way up to the mayor for public comment, revision, and further assessment before the development is approved or denied. Here, though, current zoning allows the towers to be built as-of-right, so no scrutiny through ULURP was legally necessary. The developers of the tower trio are only required to do environmental review for their project, though they did hold voluntary community reviews (which were interrupted by protests). In response to community concerns, DCP is considering the projects together, instead of individually. "While the modifications sought for the Two Bridges sites do not trigger ULURP—in other words no new density or waivers are needed—a thorough environmental review which offers multiple opportunities for the public and elected officials to participate is being conducted," said DCP spokesperson Rachaele Raynoff, in an email to DNAinfo. "Moreover we are ensuring a coordinated review by the project applicants that looks at the cumulative effects of these three developments at the same time—an extraordinary but important measure that is not ordinarily required. This coordinated review will help produce the best possible outcome for this neighborhood. Much as we appreciate the desire of the community to do so, there are no grounds under which a ULURP could legally be required in this instance." Though there are many neighborhood groups across the city saying "no" to tall buildings, the political geography of downtown Manhattan lends the Two Bridges controversy a special edge. Restrictive zoning and landmarking shields wealthier and whiter neighborhoods downtown from skyscrapers, but those protections are missing in the Lower East Side or Chinatown, a condition that jeopardizes affordability and encourages what some see as out-of-scale development. Though activists are working to mitigate displacement, since 2002, Chinatown has lost more than 25 percent of its rent-regulated apartments. Now, neighbors are worried the developments will stress already over-burdened infrastructure, block natural light, and engender displacement in the low-income neighborhood by causing property values to spike. At One Manhattan Square, for example, prices for two-bedrooms start at almost $2.1 million. Architecture should never be excused from conversations on gentrification, but building design often takes a back seat when we consider the various forces behind neighborhood change. Ultimately gentrification engages so many issues—of city planning and policy, of income and racial inequality, of housing discrimination—that it’s impossible to tackle one without bringing in the others. Through this lens, architecture becomes part of a much larger conversation about our cities, and also a powerful tool in efforts to make rapidly changing neighborhoods more equitable. A gentrification story that lends itself easily to study and dissection can be found in Harlem, an Upper Manhattan enclave that emerged as the best-known African American neighborhood in America following the Great Migration of the early 1900s. One hundred years later, the neighborhood—still a stronghold for New York’s African American community—is also home to multimillion dollar townhouses, big-box retail, a soon-to-open Whole Foods, and a dramatic uptick in white residents. What happened? The latest author to tackle the subject is Brian D. Goldstein, an assistant professor of architecture at the University of New Mexico. His book, The Roots of Urban Renaissance: Gentrification and the Struggle over Harlem, takes a multipronged approach to tackling that loaded question. In his book, Goldstein explains how Harlem became a sort of testing ground for government-backed redevelopment throughout the 20th century—an often-hostile effort that sowed the seeds for more grassroots, community-led development. This push and pull between the government’s ambitions and community-based organizations persisted through the decades before the neighborhood essentially become a case study for “New York City Gentrification 101.” But the most fascinating question posed again and again by Harlem residents, and echoed throughout Goldstein’s book, is what the streets of Harlem should look like, who should design them, and who gets to inhabit them. It would be a disservice to the book to boil down the many factors at play between Harlemites and the city government to decide that fate of the neighborhood. 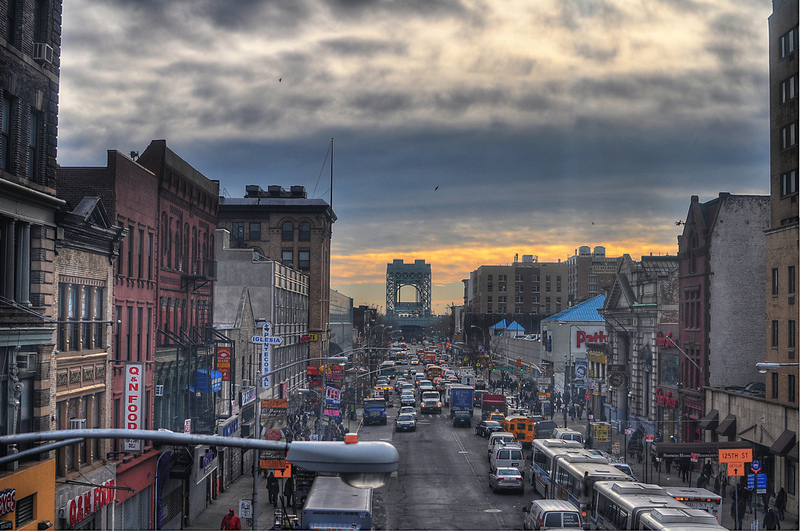 Goldstein makes the argument that Harlem’s recent wave of gentrification is a result of effective community-led developers who brought new mixed-income housing, supermarkets, and shopping malls to the neighborhood—which in turn brought a growing middle-class, and then upper-class, population. His point, essentially, is to debunk the idea that the gentrification of Harlem was solely imposed by outside developers and investors. Goldstein makes a convincing argument to prove this—he traces the strength of these community organizations to ARCH, a radically innovative community developer founded in the mid-1960s, then details the proliferation of community development corporations (CDCs) in the following decades. It’s worth noting, however, that if these organizations are to be “blamed” for the gentrification of Harlem, they were founded in response to a city government with Robert Moses–like tendencies to bulldoze communities and replace them with “towers in the sky,” or to ignore the needs of the neighborhood altogether. Harlem always has been a radical neighborhood in that it has flourished even as the city government treated it with disregard—and it has hardly lost that energy today. Goldstein, an architecture professor, is sure to point out cases of innovative and notable architecture and architectural practices, of which there are many. Not all are considered successes. In 1966, when the city opened Intermediate School 201, designed as a “showcase” for modernist architecture and curricular innovations, parents protested. As Goldstein explains, “Initially, the city had touted the intermediate schools as models of racial integration, but little in the initial planning of I.S. 201 in the early 1960s suggested that administrators were pursuing that objective with conviction.” The same year, at a vacant lot known as Reclamation Site #1, a proposal for a modernist state-office-building complex designed by the African American–led firm Ifill Johnson and Hanchard caused controversy. Local activists considered the block-long project a threat to Harlem’s identity, as well as their aspirations for community control—a flyer released in 1969 asked, “What’s to be built on Reclamation Site #1? 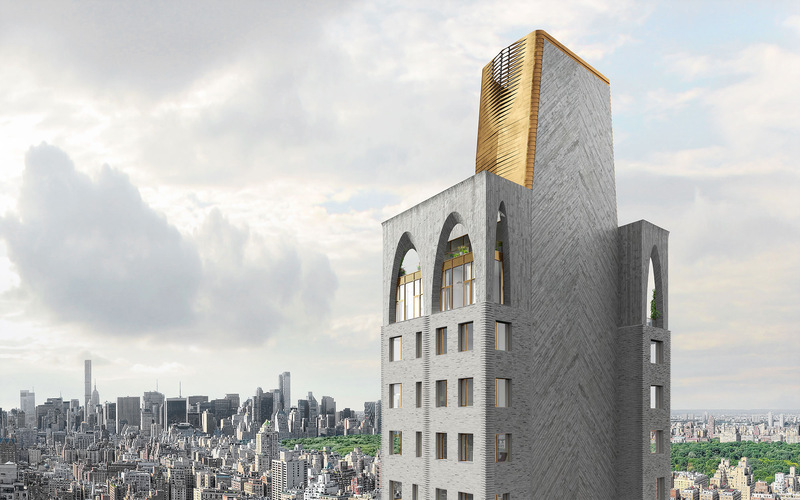 Something for black people or a state office building for white people?” Both projects illustrate that architecture in Harlem has often gone beyond simple building design—the process has long engaged questions of race, inclusion, and community needs. So it’s a welcome history lesson that the book highlights the work of J. Max Bond Jr., an architect and the first African American director of ARCH, who pushed forward a vision “of an alternative urban future centered on [Harlem residents’] daily lives.” Bond celebrated the “black aesthetic” in architecture, integrating the language of Black Power into ARCH’s work. It’s around this time that the concept of “activist architects and planners” took hold—professionals and amateurs who saw their work as deeply integrated with radical forms of participatory democracy. In that vein, Bond established a program in 1968 to help bring African American and Latino talent into the hardly diverse world of architecture. But as anyone familiar with the world of New York real estate knows, much development with public interest is the result of a number of compromises. Harlem’s community development corporations, for example, were still highly reliant on outside partners and city funds, often threatening activists’ dreams of local self-determination. With ample public funding, some CDCs were able to spur large-scale, profit-oriented projects along 125th Street, Harlem’s main drag, but the projects lacked the community engagement once prioritized. The arrival of these new projects also coincided with a rush of newcomers to New York, who pushed gentrification to its limit not only uptown but in Brooklyn and Queens. But the practice of architecture and planning engaged with matters of race, equality, and empowerment persisted, and even offered a blueprint to other African American neighborhoods like West Oakland in California and Bronzeville in Chicago. In the conclusion of the book, Goldstein recounts a 2001 event in which J. Max Bond Jr., no longer with ARCH, asked, “In what image will Harlem be re-created?” It’s a question New Yorkers will never stop asking of their neighborhoods. But Goldstein illustrates well how Harlemites not only asked, but thoroughly engaged. Although the results were mixed, it’s impossible to deny how the neighborhood was radically shaped by the opinions, persistence, and ingenuity of the people who actually lived there. Update 7/12/17: The article was updated to clarify the resolution the commissioners voted on yesterday afternoon. 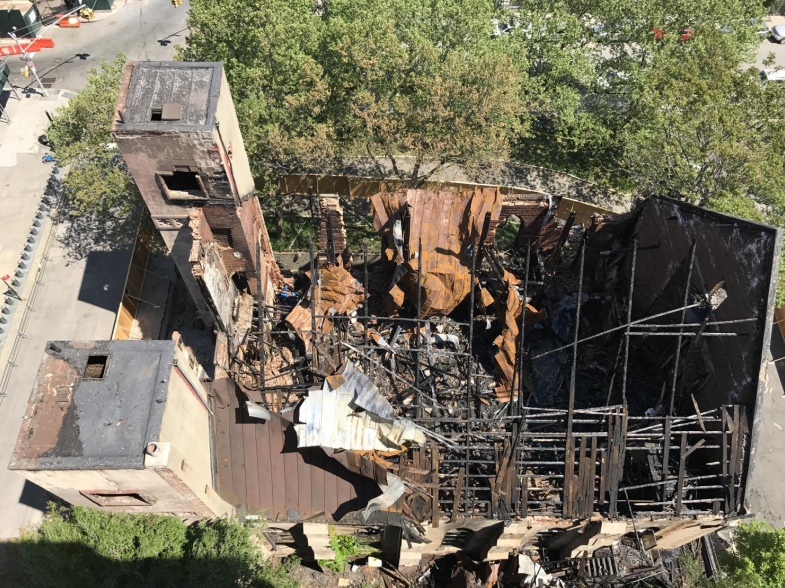 On Tuesday the Landmarks Preservation Commission (LPC) debated how to preserve a Manhattan synagogue gutted by fire earlier this year. Instead of approving the owner's request to demolish the building entirely, the commission agreed that important parts of the structure should be salvaged, where possible. The building in question is the Beth Hamerdash Hagodol, at 60 Norfolk Street on the Lower East Side. The modified Gothic Revival–style structure was built in 1850 as a Baptist church and converted to a synagogue in 1885. Home to a Russian Jewish Orthodox congregation for more than a century but vacant since 2007, it was one of the first structures added to New York’s landmark list, in 1967. In May, the building was destroyed by a blaze that was later characterized as arson; it's missing its roof and most of the interior is filled with rubble. Given the extensive damage, the hearing focused on whether the building has enough integrity to remain an individual landmark, and if so, how its structure should be preserved. In testimony to the commission, Bryan Chester, an engineer from Howard L. Zimmerman Architects, detailed the shul's precarious structural integrity. The wooden roof trusses are "beyond repair," while the masonry bearing walls are unstable and severely deteriorated. Of the two towers that flanked the main (west) entrance, the northern one is in bad shape, but the south and east facades, though unstable, are in slightly better condition. The building had no fire insurance, and the extent of the damages put restoration out of the question—any materials above the window sills would probably be unsalvageable, Chester said. On the whole, those who testified before the commission advocated against demolition and for preservation in some form. Simeon Bankoff, executive director of preservation group Historic Districts Council, said the group "strenuously objects" to demolition, while noting that the owner's negligence over the years shouldn't be rewarded with a tear-down. The synagogue is on a prime lot on the Lower East Side, a district that by some measures is one of Manhattan's most gentrified. Speaking for Friends of the Lower East Side, a group that preserves the architectural and cultural heritage of the neighborhood, Joyce Mendelsohn said the group was in "total opposition" to demolition. Andrea Goldman of the New York Landmarks Conservancy agreed, noting that years before the fire, the preservation advocacy group had worked with the congregation to come up with an action plan for the building, which was in poor repair. (Right before the blaze, the synagogue had almost reached a deal with the Chinese American Planning Council, a nonprofit that owns two neighboring sites, to restore the building and erect affordable housing.) Considering the state of the structure, demolition seemed a done deal, but the LPC commissioners were hesitant to okay the applicant's request in light of the building's cultural significance. Scaffolding surrounds the ruins; right now, there's little danger the remaining structure could topple, but Chester said that in a few more months the situation could be more dangerous. So what could be salvaged, and how should the building's heritage honored? Landmarks hired engineers at Superstructures to independently evaluate the site. The firm concurred with the Zimmerman team that the south and east facades, though unstable, were repairable. The demolition team would deploy tall machines to take the synagogue apart from the top down, a process Chester likened to dinosaurs chomping on trees. But commissioners had questions: What if the crew destroys more of the remains than necessary? What if the building could be preserved and appreciated like Roman or Mayan ruins, or the Carmo Convent in Lisbon? "I'm unconvinced of the absolute necessity for demolition," said Commissioner Michael Devonshire, even when taking into account the building's unstable walls. Fellow Commissioner Frederick Bland added that the group needed to "see what's left and re-assess" after the structure has been stabilized. At the meeting, the commissioners decided to preserve, where feasible, the building's most important elements, but did not vote up/down on the owner's demolition bid. Instead, LPC general council Mark Silberman was asked to draft a resolution on the project that modified the owner's request. The resolution states that parts of the building need to be removed for safety reasons, especially around the north, south, and west facades, while retaining as much material as possible, with significant architectural features salvaged. The whole process will be overseen on-site by the LPC's engineers. It was approved yesterday afternoon. Edward Gunts contributed reporting. AN announces Cocktail Crawl winner! This past May, thirteen design showrooms in the heart of Manhattan opened their doors to some 700 architects as part of The Architect's Newspaper (AN)'s Flatiron/NoMad Design Showroom Cocktail Crawl. 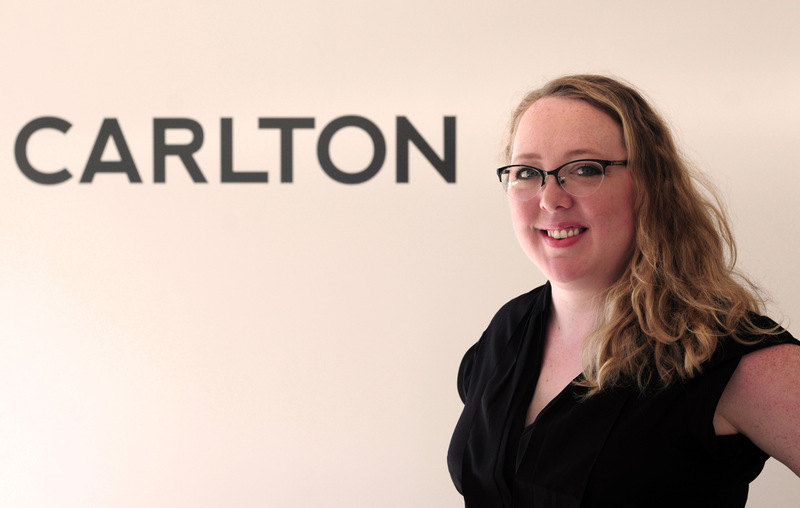 Now, AN is pleased to announce that Nell Taranto, senior associate at New York City–based Carlton Architecture, PC, has won this year's grand prize: a $500 American Express Gift Card. The Flatiron/NoMad Design Showroom Cocktail Crawl will return in early October. Stay tuned! 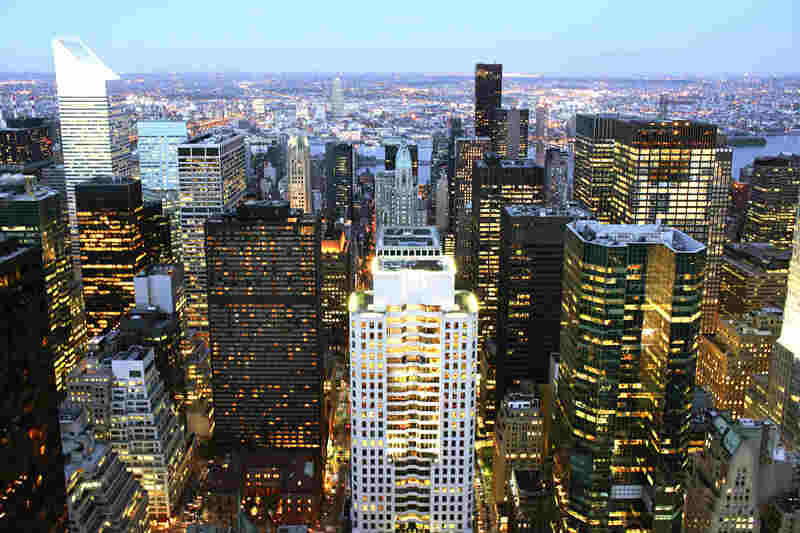 The rezoning of Midtown East in New York City is one step closer to approval after the latest proposal was presented at yesterday’s City Council meeting, although not without significant opposition from the public. The rezoning proposal has made an arduous, five-year-long journey with support and roadblocks along the way. The Department of City Planning (DCP) has pushed the proposal forward, claiming that it will incentivize the development of new office buildings, preserve landmarked buildings, and improve the public realm in the area. The designated site runs from 39th Street to 57th Street and is bordered by Madison Avenue from the west and 3rd Avenue from the east. With Hudson Yards luring away businesses and the Financial District offering newer buildings with larger floor space, the DCP has primarily made it their goal to make the proposed Midtown East sub-district area a premier business area. If this latest proposal passes, it would add a potential 16 new developments in the area and allow developers to build up to 40 percent taller and bulkier than is currently permitted in Midtown. In exchange, they would be required to either complete improvements to below-grade transit infrastructure (i.e. improve major subway stations), rebuild legally overbuilt floor areas of pre-1961 buildings, or if they transfer landmark development rights, pay a minimum contribution ($78.60 per square foot) to a public realm fund. “We expect hundreds of millions of dollars to go into this fund,” DCP’s Director Edith Hsu-Chen said. The fund is expected to improve aboveground infrastructure, including widening pedestrian streets and creating shared streets. 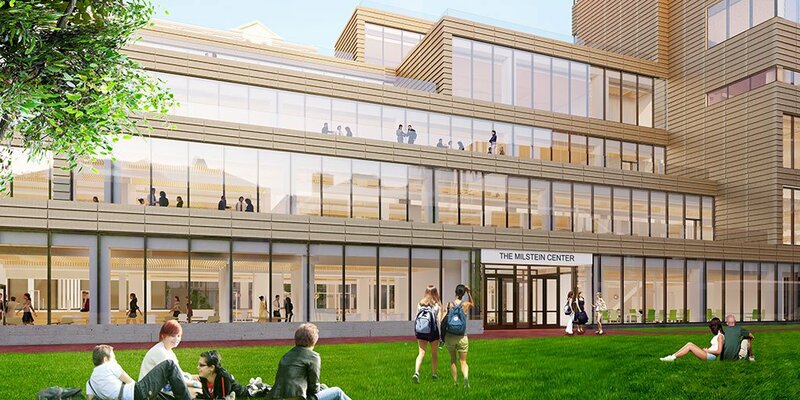 Another part of the proposal includes the Pfizer headquarters building. Since it was built before the 1961 Zoning plan, it will automatically get a free density boost of floor area ratio (FAR) 10 to FAR 15 and possibly incentivize the pharmaceutical company to sell the building and leave the city, as The Real Deal reports. While infrastructure improvements to subway stations were applauded (especially concerning the latest MTA woes), concerns were expressed from councilmembers about the transparency of the use of the public realm funds and whether developers could “game the system,” according to Councilman Daniel Garodnick, a long-time supporter of the proposal. Other questions raised included the potential—and highly likely—increased traffic in the 116 traffic intersections that will be affected, the increased shadows overcast, as well as the lack of new public space, which has been an issue for many of the proposal’s opponents. Since developers are already gaining extra FAR from contributing to the public fund, they do not have to take part in the POPS (Privately Owned Public Spaces) program, a voluntary zoning mechanism where developers get more floor space by building a public space. The meeting saw many community members pushback against rezoning without the mandatory inclusion of open, public space. “What remains to be determined, after all this time, is what the public will be receiving,” said a representative for Vikki Barbera, chair of Community Board 5. “Open space is not some optional amenity, it is essential for all good planning.” The City Council will meet later this month to vote on the latest proposal. Better bus service? A shorter L-mageddon? New Second Avenue Subway stops?? The MTA says yes, you betcha, to all these projects and a few more. 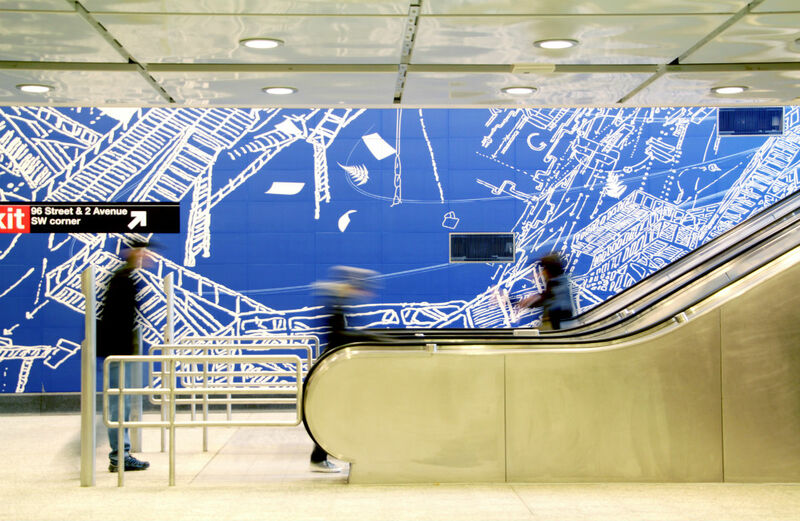 Today the MTA Board voted on a number of initiatives it says will improve service and boost turnaround time on major projects, including phase two of the Second Avenue Subway and L train tunnel repairs. The Board also voted to spiffy up train stations and add new buses citywide. “Today’s votes will bring convenience and better service to the millions of New Yorkers who use our system every day,” said interim executive director Ronnie Hakim, in a prepared statement. “Improvements include modernized train stations in Astoria and a shorter closure of the Canarsie Tunnel, which will lessen the impact on L train riders as we undertake these necessary Sandy storm repairs.” Phase two of the Second Avenue Subway, which now ends at 96th Street, will eventually bring Q trains zooming north to 125th Street. In the spirit of git-'er-done, the Board voted to grant a $7.3 million contract for outreach services in advance of two new stations at 106th and 116th streets. A partnership between Spectrum Personal Communications and transportation planners at Sam Schwartz Engineering will bring a community information center to East 125th Street this spring. At the center, English- and Spanish-speaking staff will be on hand to answer questions about the subway; lead educational events; and prepare plans for the Community Boards and elected officials. Be on the lookout for a project schedule once the (already underway) phase two preliminary design and engineering work wraps up. Downtown, the MTA is pushing for L train tunnel work to be completed in 15 months, three fewer than initially projected. The $492 million project was awarded to Judlau Contracting and TC Electric, though Judlau is the same firm behind construction delays on the Second Ave subway (¯\_(ツ)_/¯). Over in Queens, $150 million will go towards improving above-ground subway stations on the N and W line in Astoria. Improvements will add security cameras, art, better lighting, and countdown clocks, the commuter's godsend. F0r a preview of what's in store for the borough, look no further than the work being done on the first group of stations in this project, along 4th Avenue in Brooklyn. Buses were not left out amid the many new things for trains. The city will get 60-foot articulated buses (53 in all) to replace the aging 40-footers in its fleet. These new buses will be suited up with, among other features, turn warnings for pedestrians, wifi, USB charging ports, and passenger counter. With the luck of the Irish, St. Patrick’s Cathedral has activated their new geothermal plant just in time for St. Patrick’s Day. The state-of-the-art system will use thermal energy harvested from underground wells to regulate the temperature of the Cathedral and its neighboring buildings. 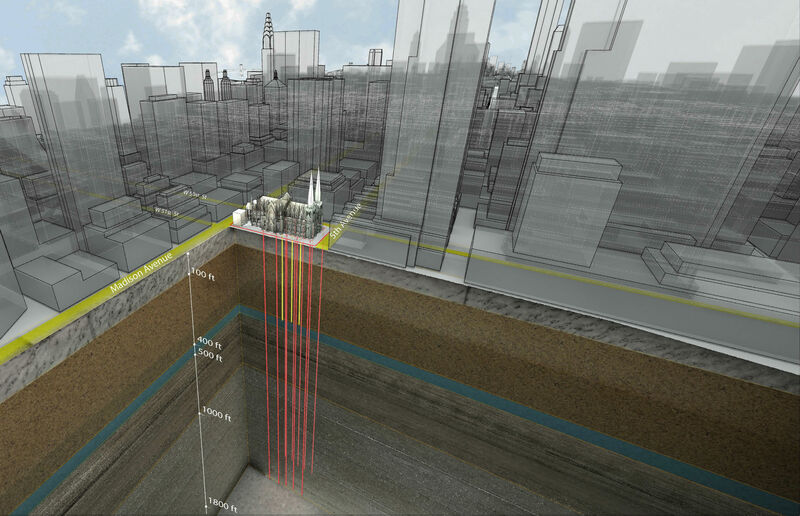 In order to harness enough energy to do this, ten wells were drilled to 2,200 feet on the north and south edges of the Fifth Avenue cathedral along 50th and 51st Streets. Those wells distribute heat to a Dedicated Heat Recovery Chiller, which then sends it out to the 76,000 square feet of cathedral for heating or cooling. Unlike most geothermal systems, St. Patrick’s system is able to heat and cool different spaces around the property simultaneously. According to a press release, a fully functioning system will be able to produce 2.9 million BTU’s of air conditioning per hour and 3.2 million BTU’s of heat per hour. To utilize the geothermal power for the project, engineers and designers had to manipulate the existing infrastructure while still adhering to strict historic preservation codes. The design and construction team included Murphy, Burnham, & Buttrick, Landmark Facilities Group, PW Grossner, Silman, and Langan Engineering, and Structure Tone of New York. “We conducted a feasibility study and found that a geothermal system let us meet our goals with the smallest impact,” said Richard A. Sileo, senior engineer with Landmark Facilities Group, in a press release. It was also noted in the press release that the Archdiocese of New York and St. Patrick’s Cathedral also hoped that choosing a sustainably responsible choice for energy, that the project could inspire others around the world to do the same. “A consistent ethic of life does not compartmentalize these issues. It prioritizes life and the preservation of life at every level,” said cathedral Rector Monsignor Robert T. Richie in a press release. “One of the most basic ways in which we are called to do so is through responsible stewardship of our natural resources.” The geothermal plant was completed February 2017 and is part of a larger restoration effort for the cathedral. To read more about what is coming for St. Patrick’s, you can visit their website here. In late December, Christmas came early for DDG Partners as work started again on its controversial development on Third Avenue and East 88th Street. The project, though, has become embroiled in a zoning furor with neighbors, experts, politicians, and the Department of Buildings (DOB). And the battle, despite workers being back on-site, doesn’t appear to be over. Local resident group, Carnegie Hill Neighbors (CHN), has been feverishly fighting the development since it was given the go-ahead in summer 2015. In March 2016, CHN enlisted the services of planning expert George M. Janes to help the cause. After looking at the zoning drawings, Janes said he noticed a “tactic to subdivide the lot” so that DDG’s building would no longer face on to East 88th Street. By avoiding this, the firm escaped further zoning laws triggered by coming up to the street’s edge. Two months later, councilmember Ben Kallos and Manhattan Borough President Gale A. Brewer penned a letter to the city flagging the issue and calling for construction to be halted. They succeeded and work stopped in May. The case is complex. Janes’s argument in the zoning challenge outlined the following: If the building did fall flush with East 88th Street, then this portion of the structure—known as the “sliver”—would be limited to 60 feet tall. Along the edges of this sliver running perpendicular to the street, however, no “legal windows” for habitable apartments would be allowed, thus wasting floor space. “I understand why they did what they did from a design standpoint,” said Janes. “That doesn’t make a difference in terms of the law though.” Janes, in fact, is sure DDG’s updated plans still break the law. “It’s just a matter of whether the DOB will enforce the law,” he said. The policy implications of this approach for the City are huge. Developers seeking to avoid zoning restrictions that are triggered by street frontage can merely carve off a tiny tax lot, obtain an access easement, and continue to reap all the benefits that the tax lot might offer, other than the tiny amount of floor area these micro-lots produce—a trade-off many developers will embrace given the premium price for height and high-floor apartments. This was submitted on December 8 and Janes was initially optimistic given the lack of immediate reply that usually comes when a challenge is declined. DDG Partners’ tower will rise to 467 feet (excluding mechanicals), using only 32 floors. According to The Real Deal, DDG purchased the site in 2013 for about $70 million and has an estimated sellout of $308 million for the 48 condos on offer. 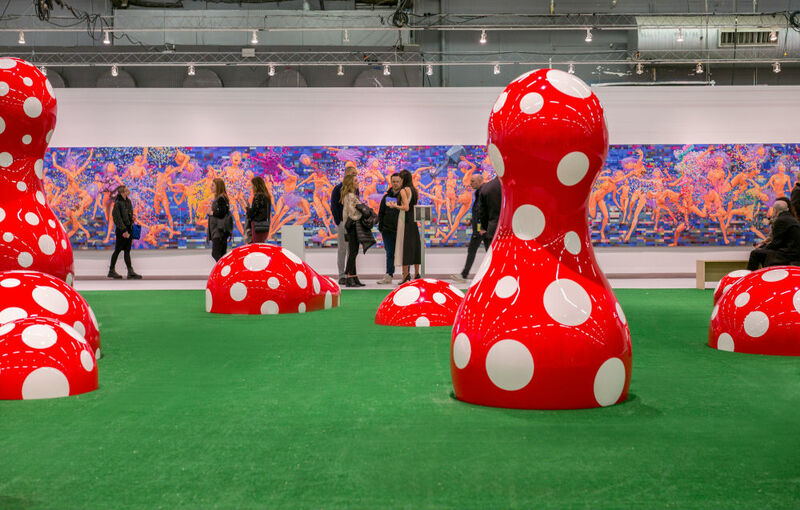 The result of seven month’s work, involving copious amounts of organizing, planning, scheduling, revising, assembling, testing and eleventh-hour tweaking, culminated in a five-day art frenzy: The Armory Show 2017. Held on Piers 92 and 94 in New York City, this year's fair hosted 200 galleries from 30 different countries—a significant reduction from the previous year's showing (230). However, Bade Stageberg Cox Architects (BSC) designed the layout of the show and the New York firm was on hand to remind visitors how effective the Miesian principle, "less is more" can be. "We're always playing with scale," said Jane Stageberg, a principle at BSC who showed The Architect's Newspaper around. "The art is big, so the space must be big!" One way to get more space is to have fewer galleries, argued Stageberg, who added that on the flip side, this afforded galleries more floor space to work with themselves. The result was a more fluid and dynamic experience of The Armory Show. In 2016, Pier 94 had three aisles of circulation, whereas this year two were employed, facilitating a much smoother and more logical route up and down the pier. This also allowed BSC to create what Stageberg called "town squares." For an experience that had the potential to feel like a head-spinning cavalcade of art, the open spaces offered visual relief and acted as convenient meeting points. They also housed "big" public art, making them handy tools for way-finding. Saying "meet by the red and white polka-dotted mushrooms" (or to the more sophisticated "Yayoi Kusama's 2016 work, Guidepost to the New World") made for an easy-to-find reference point. Or, if that didn't take your fancy: the champagne bar by the hanging piano (Sebastian Errazuriz's 2017 piece, The awareness of uncertainty). "Our goal was to open up the plan and create sight-lines, carving away corners to create diagonal views," Stageberg explained. "The galleries realized that this was good for them too as it meant more exposure. Their goal is to sell art and that's our goal too." The risk paid off, though, as galleries did well. “We sold an enormous amount,” said Sean Kelly, whose Chelsea gallery can be found on 475 10th Avenue. Additionally, Stageberg said that the bones (especially the roof) of Pier 94 itself were also exposed to acknowledge the site's industrial past. In a refined environment predominantly comprised of white gallery walls, the juxtaposition of evident decay seen on the roof and odd bits of wall was a welcome sight. On Pier 92, this was less the case, but the inclusion of generous amounts of daylight made possible by numerous windows, supplemented the sense of place BSC strove for. 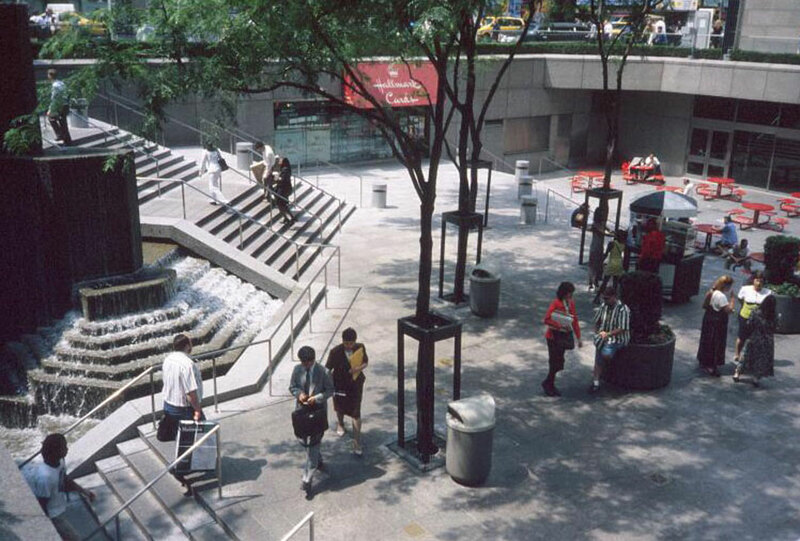 Around these areas of fenestration was more "public space." (This year, public space made up more than a third of the square footage allocated to galleries.) In a setting where square footage and wall space are prime real estate for galleries, the decision to do so was justified as visitors came in record numbers (65,000 over five days—the most ever). In addition to this, the show's busiest days over the weekend were gloriously sunny. Light shimmered off the Hudson and the pier—which is roughly 30 feet narrower than its neighbor—felt open and breathable. Another advantage of this was simply being able to see where you were in the scope of the city. Be it views of BIG's Via 57 or simply Pier 94, the windows aided orientation and provided a pleasing change of focus. This was particularly the case in the VIP Lounge on Pier 92 where a large window punched through the end of the pier was the highlight of the show’s premium venue. BSC has been working The Armory Show since 2011 when the firm began designing the 2012 edition of the fair. Between then and now, two directors (Paul Morris and Noah Horowitz) have come and gone, but this year marked the second year BSC had been working with its current director, Ben Genocchio. For the 2017 show, Genocchio wanted Piers 92 and 94 to be in greater unison. Curatorial programming at previous shows had created a disconnect between the two piers, a phenomenon amplified further due to their differences in elevation (Pier 92 is almost one story higher than its neighbor) resulting in tricky circulation. To challenge this, both modern and contemporary galleries could be found on the two piers and emphasis was placed on the corridor that linked them. It wasn't all smooth sailing on the water, however. While an oversized floating concrete block (Drifter, by Studio Drift) did well to draw visitors to the connecting stairwell, traveling between the two piers was still awkward. This problem, though, may be impossible to solve. Stageberg was disappointed in the food outlet "Mile End" at the end of Pier 94. "It felt like a dead-end space," she said. Likewise, it's hard to see how such an issue will be resolved without sacrificing more gallery space. Stageberg, though, took this as a positive. "We're learning what we can do next year," she said. “We’re very pleased with how the public spaces in general turned out, they were really needed.” In the end, it's the piers' quirks that make The Armory Show what it is. There are few, if any, places where you can gaze over millions of dollars worth of art amid expertly organized chaos, all under one, slowly dying roof in the middle of New York. Anbang knows the Waldorf Astoria's history is a large part of what makes this hotel so unforgettable. That is why we fully supported the commission's recommendations for designation of the Waldorf Astoria's most important public spaces and applaud the commission on achieving landmark status for them. 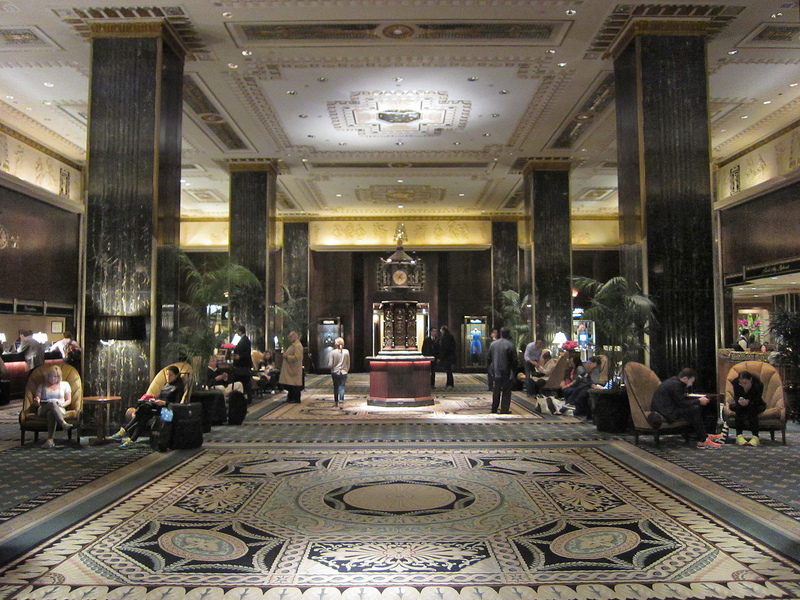 LPC’s designation protects many of the public spaces throughout the first three floors of the iconic art deco building, including the Park Avenue Lobby, entry hall on the ground level, and the Grand Ballroom on the third level, one of the largest event spaces in the New York City. The designation currently awaits approval by the city council.